Urban Knights Radio - #1 college radio station on iHeartRadio and the official radio station of the Academy of Art University. Proudly produced and managed by the students of the Academy of Art University. Check out the latest events and announcements for Urban Knights Radio. If you are unable to hear our feed on iHeartRadio, please go to our LISTEN LIVE page for an alternative player. 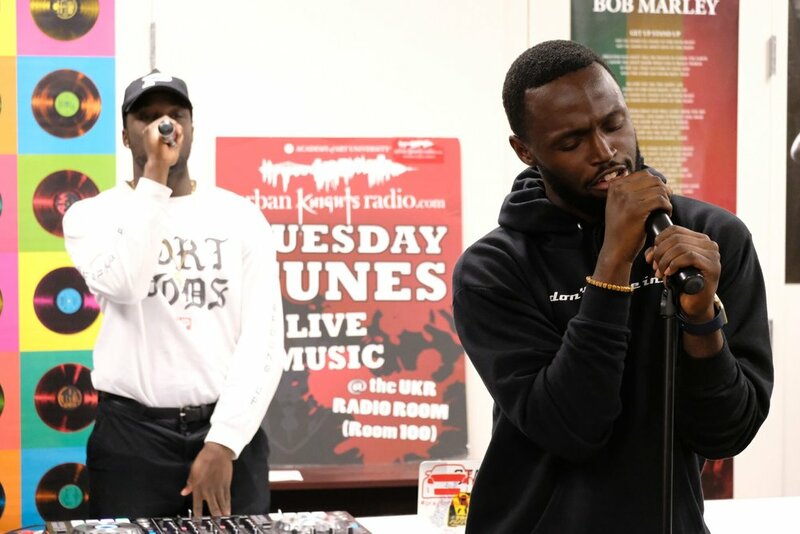 Check out photos of past events at Urban Knights Radio. 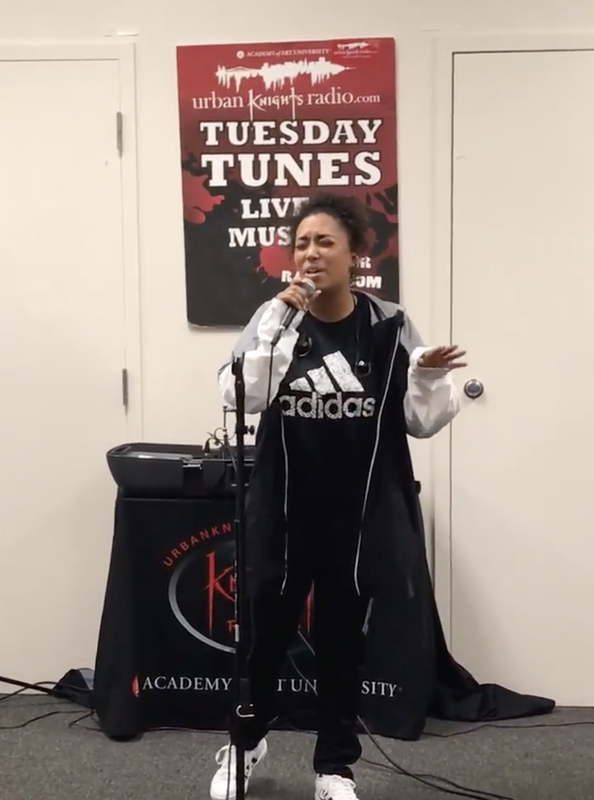 TanJanae performing live in the UKR studio at the Academy of Art University.